I’ve recently gained a new addition to the living room, in the form of this great little Habitat MOMO chair. 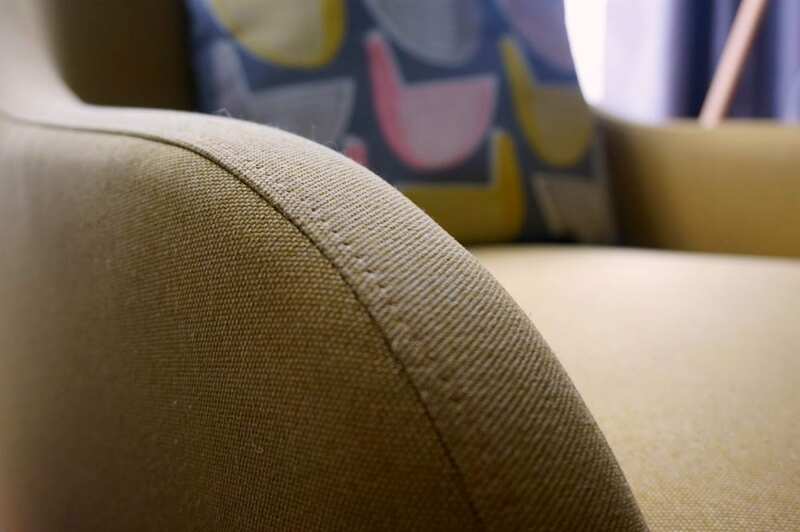 The MOMO is part of the larger range of lower cost, retro styled furniture and it fits perfectly with my taste and style. 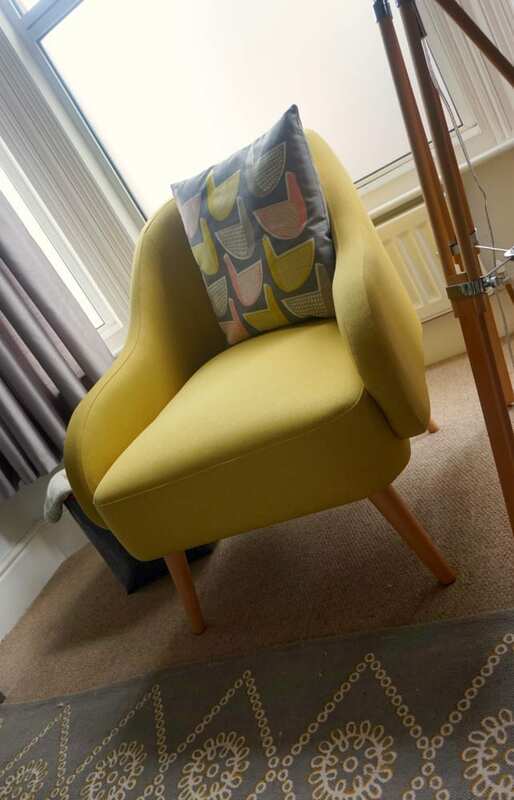 Our chair is in the Saffron Yellow colour and is probably a little stronger in shade than shown in the photos. I’ve tried to recreate the colour as closely as I can but, having the light behind the window makes it tricky. It certainly is a shade darker than viewed on the website, so that’s worth taking into account. The MOMO armchair is compact and contemporary. 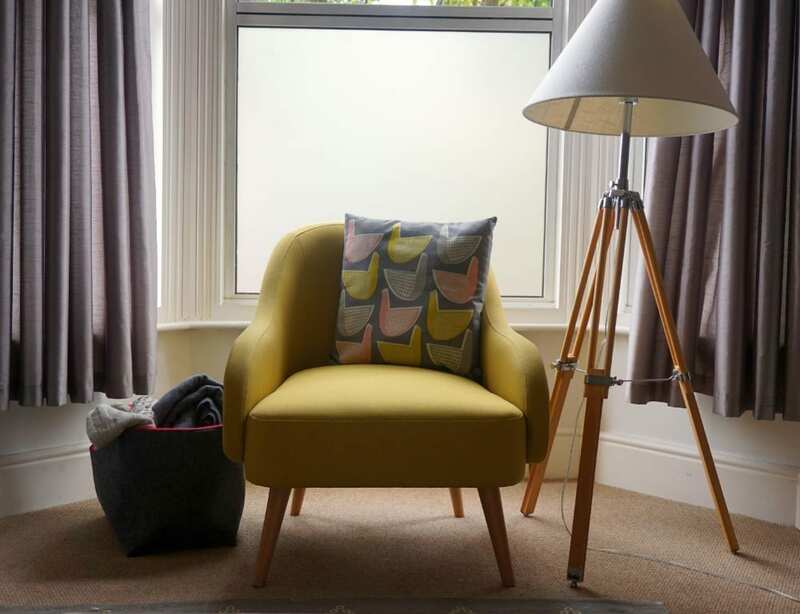 Perfect for smaller spaces like a bedroom chair, or as I’ve used it, in the bay window of our living room. We currently have two leather sofas in much the same style, so adding a pop of colour like this has really lifted the whole living room. I’m really thrilled with the overall look. The beech legs complement the small amount of pale wood I have in the room too, as in the lamp you see in the photos. 100% Polyester cover, with a hardwood/softwood/chipboard mix frame, covered in foam. Legs are beech. Professional cleaning is recommended, but it can be wiped with a damp cloth. If Saffron Yellow isn’t for you, there are several other colours to choose from including Teal Blue, Charcoal, Natural and Red. There is also a coordinating 2 seater available. I was drawn to the simple, retro styling of the chair and of course, its compact sizing. It’s low too which suits the space and is great for the children. To sit on, the chair is relatively firm, probably not ideal for sitting for long periods but it has good back support. 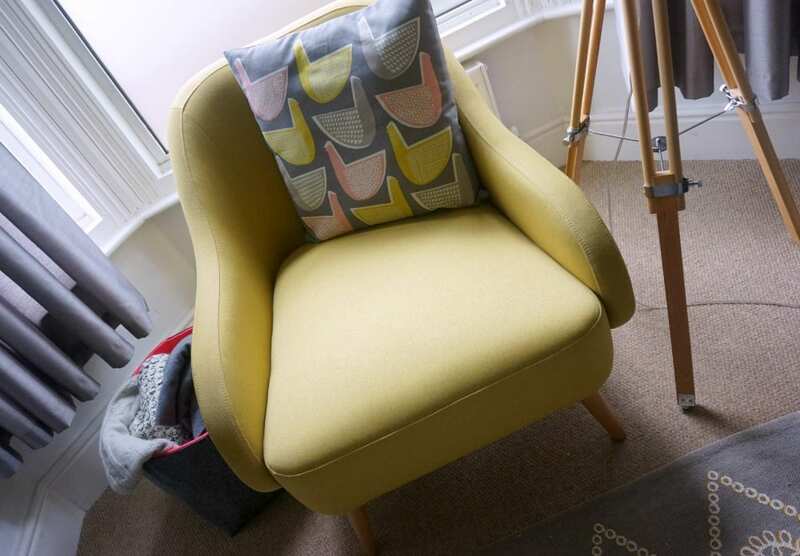 I’ve styled with a Habitat cushion – Pennie at £12. 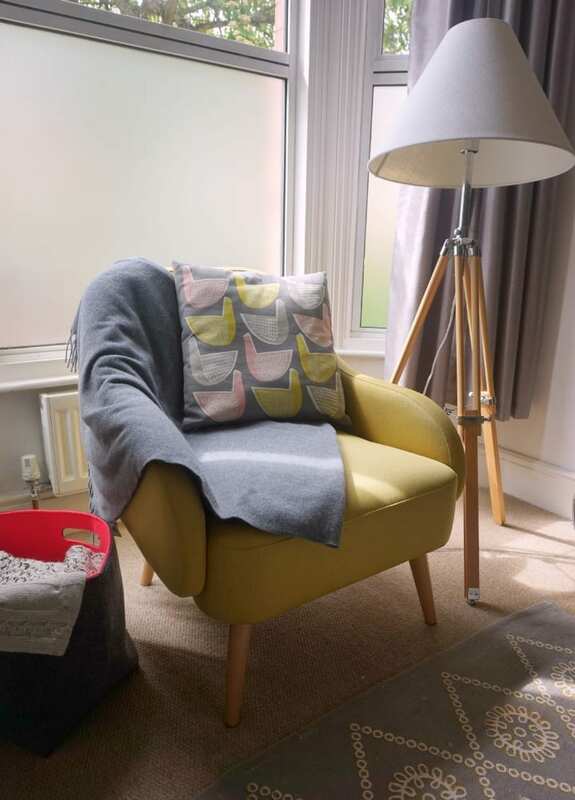 The lamp is from made.com and the grey throw and basket are both John Lewis. The rug is Urban Outfitters. 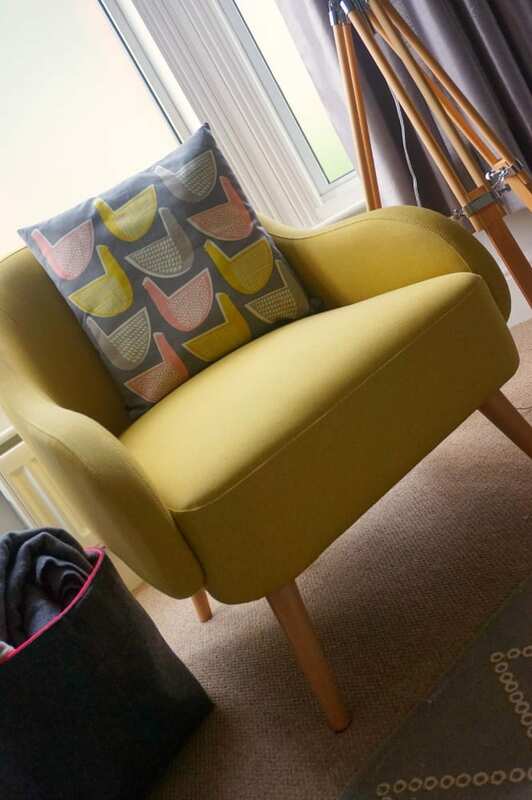 You can find out more about this Habitat MOMO armchair here, and do check out the full range of Habitat sofas which you can find on their website. I’m really pleased with the chair. I think it’s great value for such a style statement, and makes the perfect accent chair in this room. I’m going to have to be careful with the sun fading the colour though, so positionin is worth thinking about. With such a strong, vibrant colour, any sun fade is going to show. Thanks to Habitat for gifting the chair in exchange for my honest and genuine thoughts about the product. I hope you’ve found them useful. Oh Jen, it looks fabulous! And the cushion too. I love the yellow (I have similar coloured sofas in my kitchen) but I think the teal is amazing. And the shape??! Just a classic! What a beautiful chair! The price is reasonable as well. Thanks for the tip about sun fading, probably something I would have missed. Loves the chair color. Also simple and easy to clean. very beautiful chairs.The price is also good.